An Orlando tradition for 17 years, Dickens by Candlelight is the perfect paranormal performance this Holiday Season. This unique and intimate iteration of the classic tale of goodwill towards men is a must see experience. 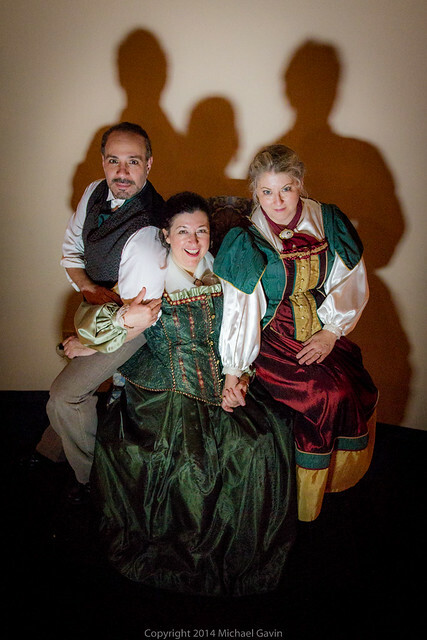 Told entirely in Dickens’ own words (except for one word and a little bit of improv), the transformative tale of Ebenezer Scrooge is brought to life by three very talented actors (John DiDonna, Morgan Russell and Monica Long Tamborello). In a cozy tea room-like setting, the action takes place around the audience instead of on a central stage. 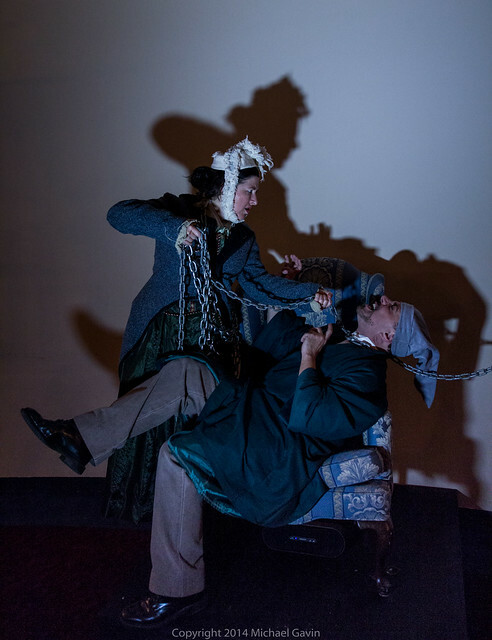 During the 90-minute presentation and several costume changes, the talented trio tackles the majority of Charles Dickens’ classic characters along with a few others “filled in” by audience members. Taking place in two venues this year, the touching tale is told over tea (an amazing cinnamon herbal blend) and homemade cookies at the Lowndes Shakespeare Theater for regular performances or in-between dinner courses during a special engagement at Sleuth’s Mystery Dinner Shows. Guests arriving at the Lowndes Theater in time for the pre-show are treated to the tradition of wassailing in the courtyard. 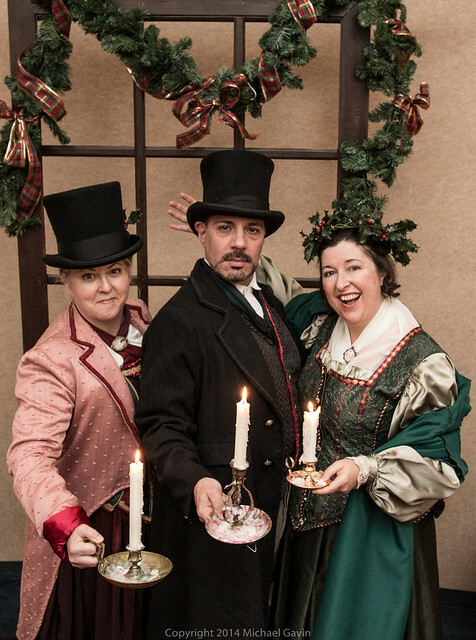 Dickens by Candlelight will delight and engage anyone attending. 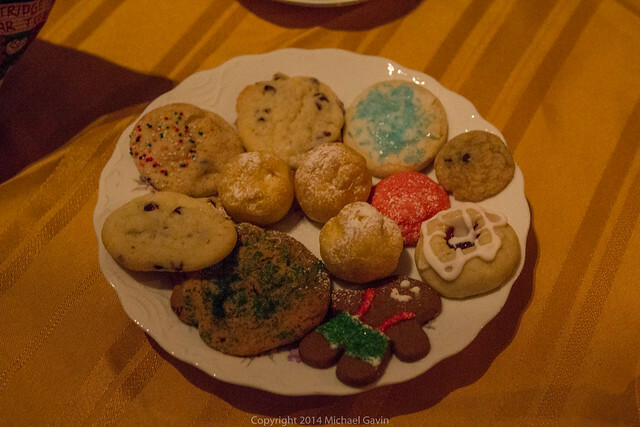 While the spirts of Christmas Past, Present and Future were able to work their wonders in one magical night, patrons still have several opportunities to experience this unique and touching tale. Michael wow! Amazing photos sir! And thank you for coming and sharing with us. Tis a tradition for us on stage as well.